I hate, hate, hate, HATE the word veggies. I mean, for god's sakes, vegetables, doesn't take that much longer to say. Even I can pronounce that word..and English isn't my native language. Although I hate the word veggies, I love vegetables. Salads, soups, sides, and appetizers can be made with a wide variety of vegetables, and although tomatoes are technically fruit, I can eat them by a bucket and they are my favorite vegetable. Still, despite my love for vegetables, there is no way I'll ever be willing to give up meat. Pork (even though I'm Jewish) is amazing slowly cooked and shredded, and please don't forget bacon. Chicken is good too, but I guess it's poultry. And then there's beef. Medium rare juicy burgers with melted cheese, chipotle mayonnaise and perfectly ripe avocados. Beef fajitas with onions and peppers. Medium rare steak with sauteed mushrooms and onions. I even love meatloaf! 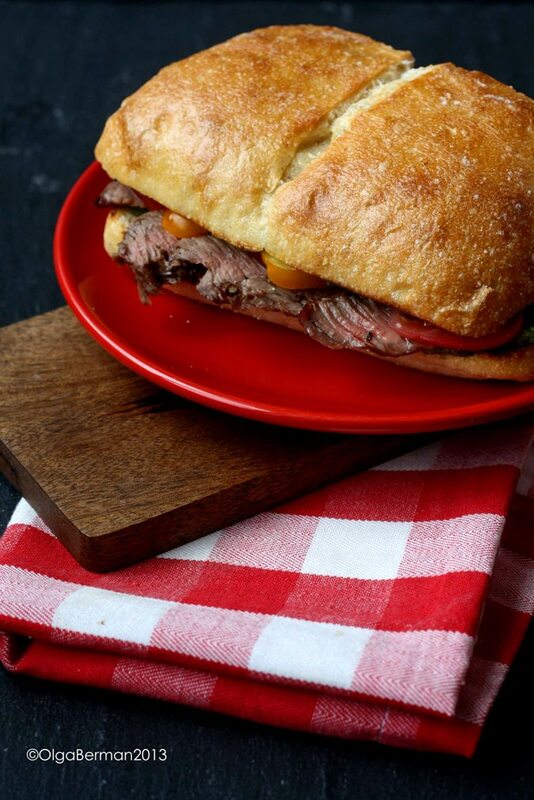 I'm getting hungry just typing this. I'm good at making meatballs and meatloaf: anything with ground beef. But when it comes to cooking a whole piece of steak....well, I could use some help. 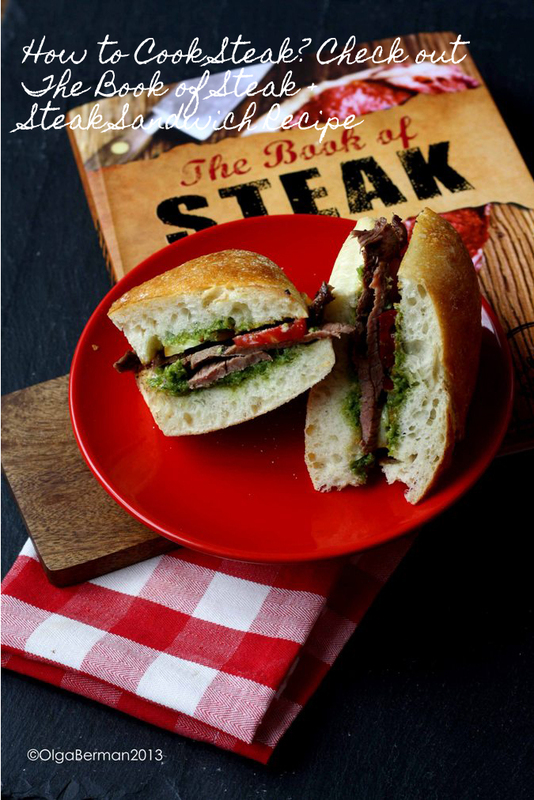 That's why when I got a chance to receive a preview copy of The Book of Steak from Parragon Book’s Love Food line, I said BRING IT! 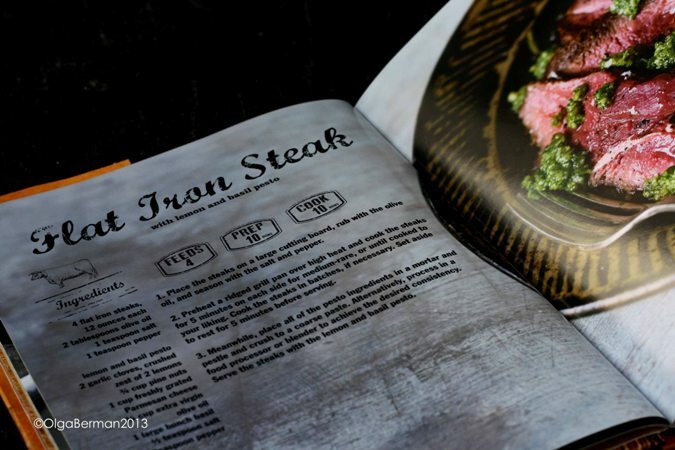 The book is great: each recipe is less than a page, the photos are gorgeous and make you really hungry, the directions are succinct and numbered. 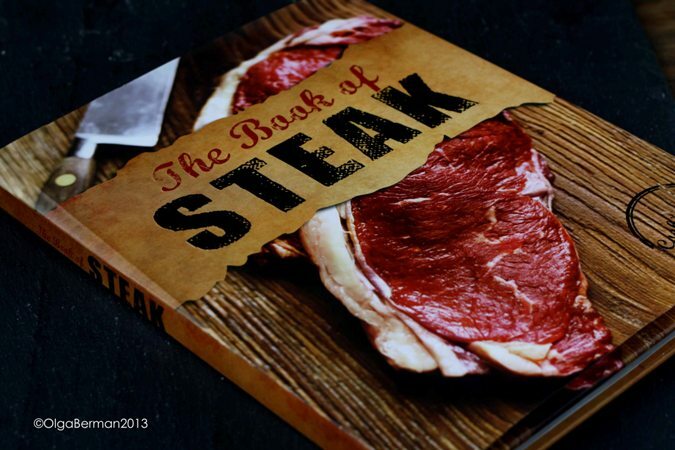 By reading the book, you can learn about different cuts of meat, how to buy meat, how to cook different cuts of meat, and what condiments and sides to serve with your meat. I also really love the typography used in the book: it is fresh, appealing, and cool. 1. 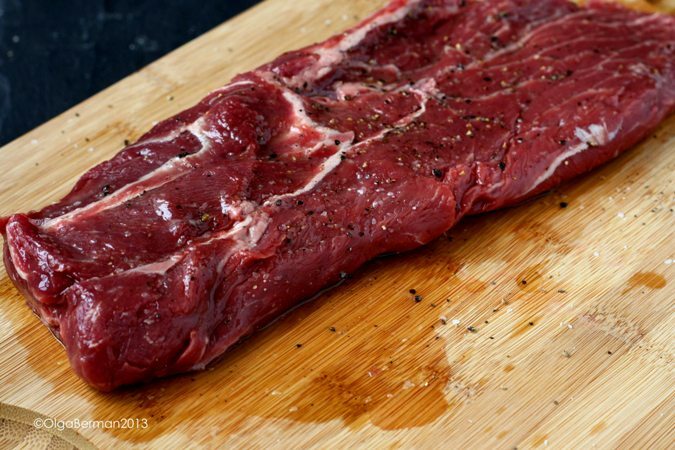 Place the steaks on a large cutting board, rub with the olive oil, and season with the salt and pepper. 2. Preheat a ridged grill pan over high heat and cook the steaks for 5 minutes on each side for medium-rare, or until cooked to your liking. Cook the steaks in batches, if necessary. Set aside to rest for 5 minutes before serving. 3. 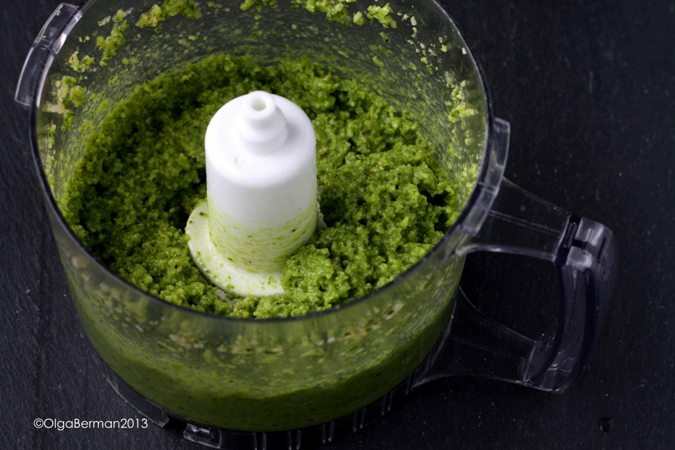 Meanwhile, place all of the pesto ingredients in a mortar and pestle and crush to a coarse paste. Alternatively, process in a food processor or blender to achieve the desired consistency. 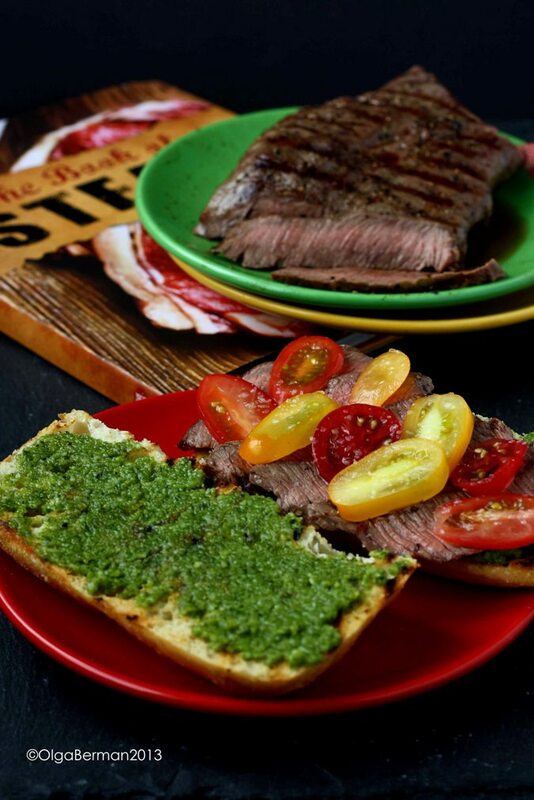 To assemble the sandwich, spread lemon basil pesto on both sides of the toasted ciabatta, top with sliced steak and sliced tomatoes and EAT. This was a really great sandwich and I used the leftover of the pesto in pasta, spread on toast to serve with sausage, pepper and mushroom frittata, and mixed into a tuna salad. I can't wait to try more recipes from the book! 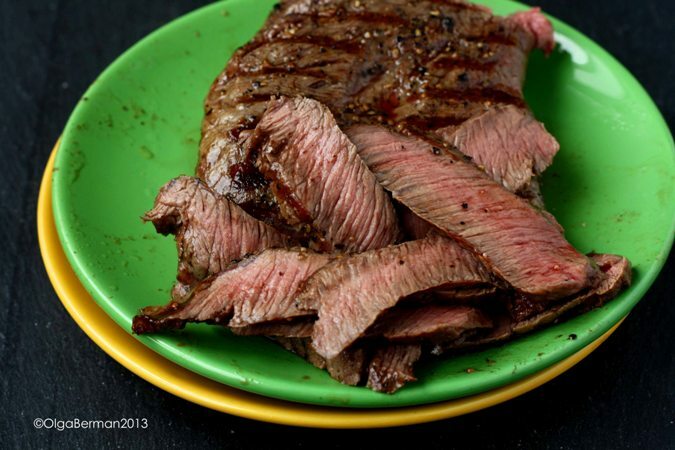 What's YOUR favorite cut of meat and how do YOU cook it? Oh man. This looks amazing! 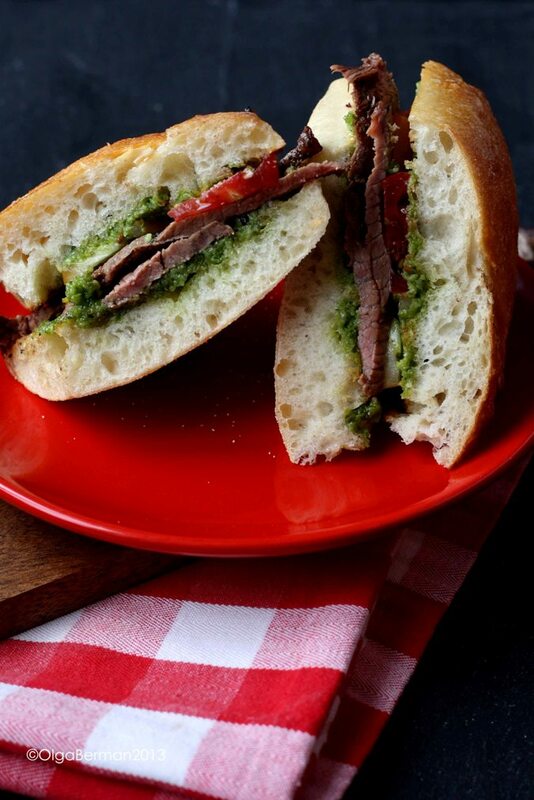 I am a total sucker for steak sandwiches... I would prob. add caramelized onion to this. That looks SO good! I'm drooling at my desk. oh no! :) Hope you have some napkins to clean it up! Ooh. I love the layout of that book! (And I love veggies!!) The sandwich sounds wonderful. Rib-eye is probably my absolute favorite cut. All it needs is a little salt and pepper. The fat gives it so much flavor. I also really love pork... and of course, bacon.